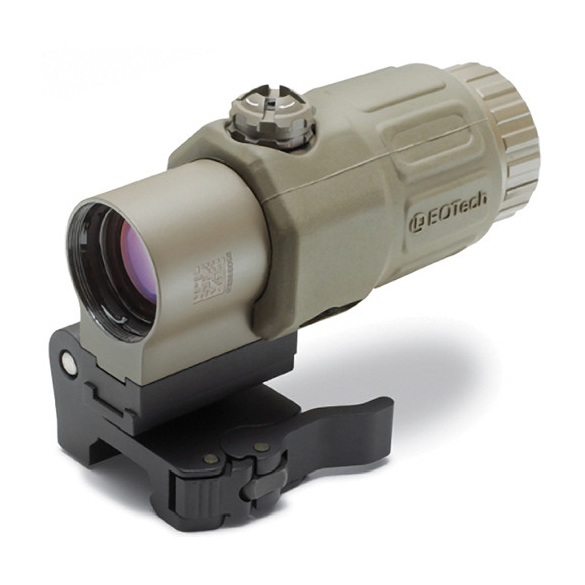 The matte black EOTech G33.STS 3x Magnifier from L3 comes with the Switch to Side (STS) quick-release mount, which allows the shooter to switch to unmagnified viewing simply by pushing the G33 to the side. 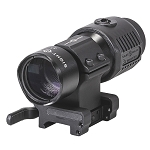 For cowitnessing raised iron sights, the STS mount comes with an optional 7mm riser. 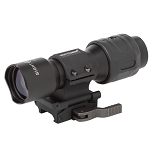 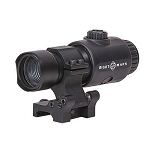 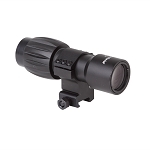 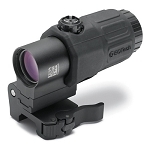 The G33 magnified optic features an improved 2" eye relief compared to previous EOTech magnifiers, and its tool-less design enables quick windage and elevation adjustments by hand. 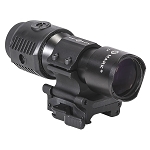 A compact footprint and user-friendly handling are complemented by the magnifier's o-ring sealed weatherproof housing.